The institute made the announcement during the 2018 Our Ocean Conference being held in Bali, Indonesia, this week. Joining a prestigious group of ten marine protected areas (MPAs) that comprise the Global Ocean Refuge System means that Exuma Cays Land and Sea Park meets the highest science-based standards for biodiversity protection and best practices for management and enforcement. Marine Conservation Institute awards Global Ocean Refuge status to MPAs for actively protecting the world’s most valuable and biodiverse ocean habitats, sustaining marine biodiversity and increasing populations of marine life. The Exuma Cays Land and Sea Park joins a growing network of Global Ocean Refuges that will contribute to reaching strong protection for 30 per cent of the ocean’s most critical places by 2030. The Institute’s objective for the award is to bring special recognition to nations, decision makers and site managers who effectively protect their marine ecosystems and to incentivize better ocean protection worldwide. 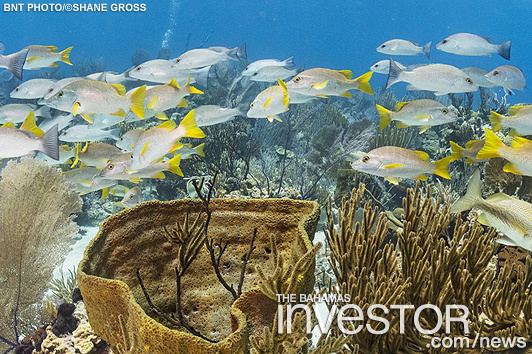 The Exuma Cays Land and Sea Park serves as an ecological refuge to numerous plant, coral and animal species due to its relatively undisturbed coral reef, mangrove, and seagrass bed ecosystems.